Watch: Life is Not a Musical Teaser! Watch it on YouTube for glorious full HD! Recording with Cazz! We took our very talented musical ensemble to lay down some bagillion part harmonies with Cazz Brindis, who is writing some additional music for the movie. Saturday we shot one of our biggest scenes, the ending of the theme of the musical, “Life is Not a Musical.” We had our crew hard at work for 7 hours, and they were great! 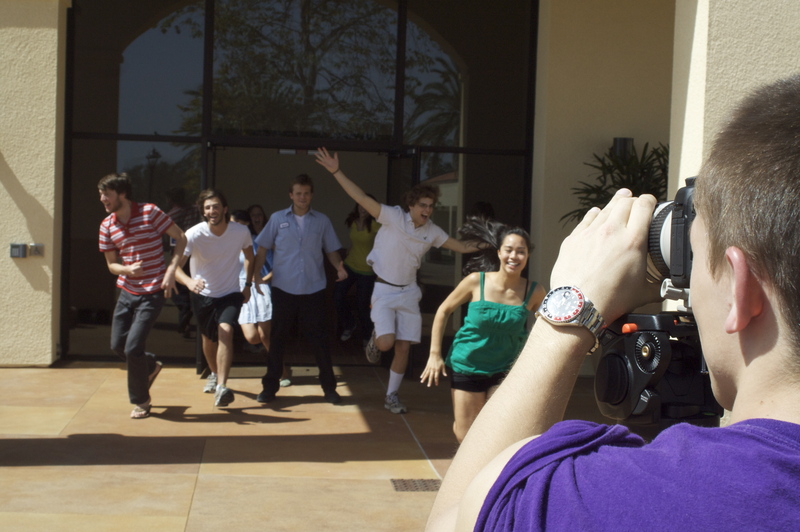 Here are some photos from behind the camera, so you can get an idea of why we had so much fun shooting this weekend. Look for video blogs and camera stills soon and keep an eye on our Twitter feed for by-the-minute updates. 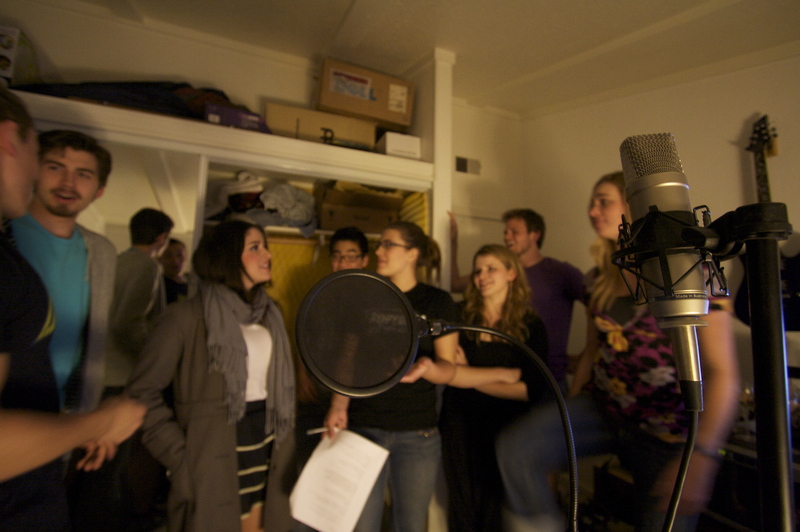 Firstoff, thanks to all who helped on the shoot of the title track, “Life is Not a Musical” yesterday. The footage is looking incredible and we wouldn’t have great looking footage without great things to shoot. 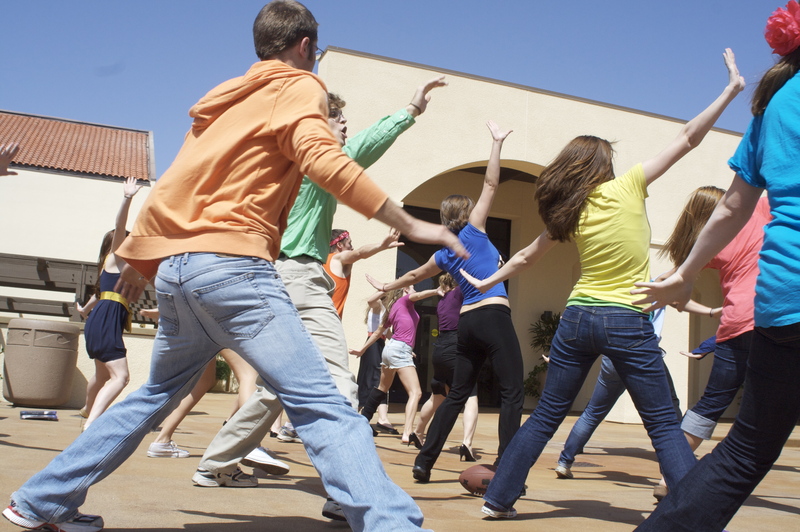 All of our extras/dancers really gave it their all in rehearsals and the multiple takes done on a very hot Saturday morning. Thank you all kindly, production stills should be coming soon! Now, as some of you who have been on set may have realized, we are no longer shooting on a RED ONE camera. 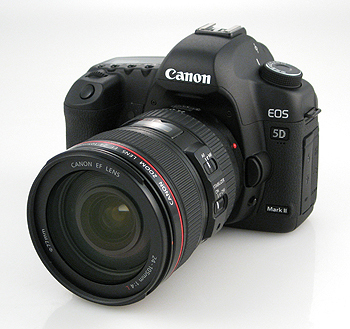 We have instead decided to shoot on Canon DSLR’s, more specifically, the Canon EOS 5d Mark II. If you’re anything like the production team when we first uncovered this technology, you’re a little rattled by the idea of shooting a feature film on a “still camera”. However, the footage speaks for itself. There is a movement among independent filmmakers who are making movies on these cameras, and the quality is comparable if not equal to the revered RED. In some senses, the convenience of working with the 5d camera does a production like ours a lot more favors than a RED would have. While I will spare you in-depth tech talk about the higher points of the camera (links will be included in this post for reference), I’ll say essentially why we chose this camera. It can record video in full HD with a full frame still camera size 35mm sensor, which is much bigger than a movie sensor. The availability of lenses for still cameras is a wide variety with reasonable pricing, as opposed to film cameras and the RED, where buying lenses for variety of looks can quickly run up to five-figure prices. 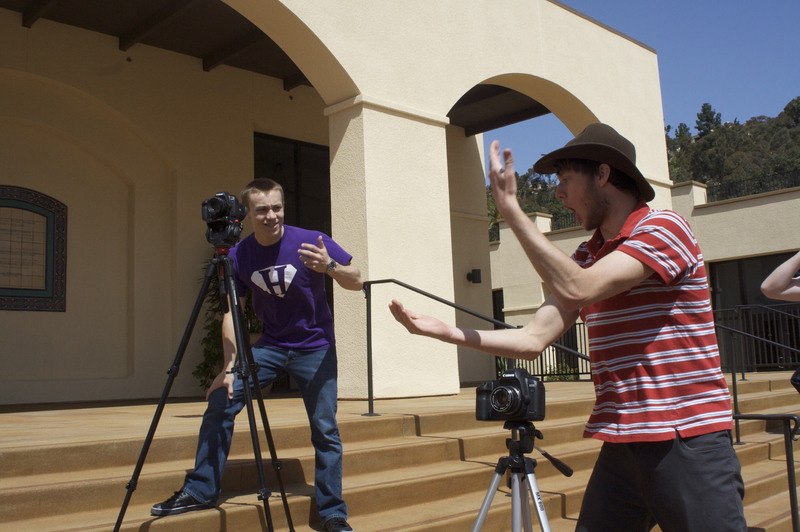 Additionally, editing the footage shot by the 5d is a much more simple task than RED footage. 5d footage, with the help of some additional software, can be edited in final cut pro without too many roadblocks on interface. The RED however, is quite a complex process; mainly because of the sophistication of the information it records. This requires very specific programs to edit, and thoughtful consideration while shooting. As I said before, there is a movement among filmmakers who are adopting these cameras as their primary shooting cameras. One filmmaker specifically, Phillip Bloom, runs a website that he uses to showcase his work and runs an open forum for DSLR users to share and learn about the technology together (I will include links to his page at the bottom of this post). Robert Rodriguez, director of such works as “Desperado”, “Sin City”, “From Dusk Til Dawn”, and “Spy Kids” is famous for his work in cinema on a shoestring budget (see “El Mariachi”, $7000 to produce); recently shot a music video on a 5d, which should be released in the next month or so. I encourage you to do some research of your own on this new technology. I’ll include a video in this post which compares the 5d Mark II with the RED as well as another DSLR camera, and as the video with the incoherent plot posits, see if you notice anything different. Well, now everything is in full swing and it’s getting pretty intense. Our weekly production meetings have doubled in size and things are getting very serious. Idea Box Productions has become official and is the producing company behind Life is Not a Musical. As you’ve seen from the photos and video below, we had our first shoot and it was amazing. We can’t wait to put some more talent in front of the camera and show them off. Every time we meet I get so excited to see how the actors are going to illustrate the things we’ve been just imagining. 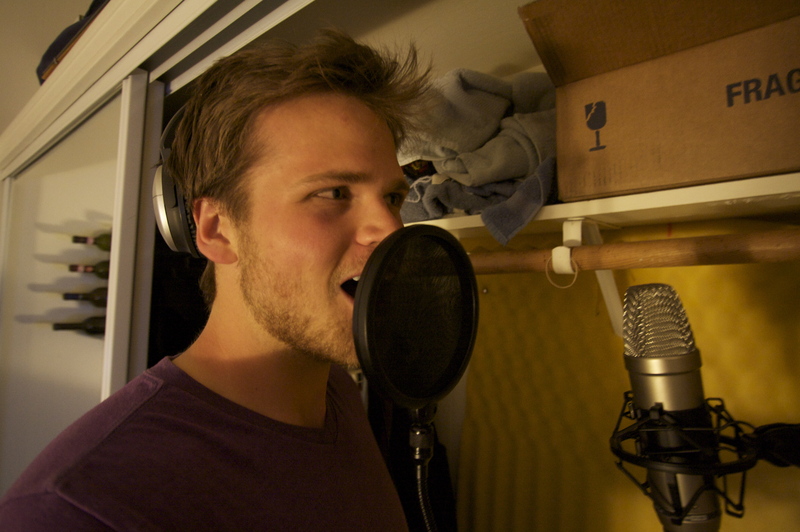 Every weekend now we are either in the music studio recording vocals or shooting a scene or both or rehearsal. Things are getting really fun as we start to see what our finished product is gonna look like. We are excited to announce we’ve been sponsored by a couple of organizations. 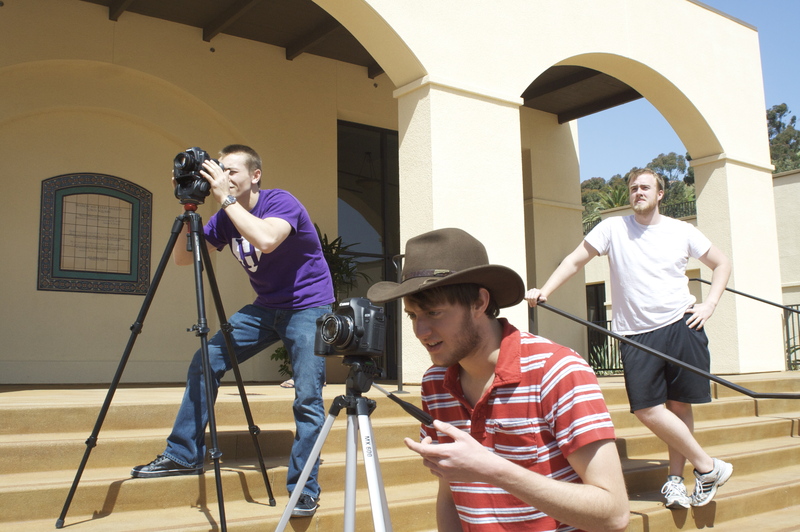 This week we received donations from Pepperdine’s Student Government Association and Inter Club Council via the newly created Pepperdine Film Society. We can’t thank them enough and we are excited about what we can do now that we have a little funding to back us up. Also worth noting, a friend and frequent collaborator, Jeff Loveness, won the “Audience Choice” at this weekend’s ReelStories Film Festival. 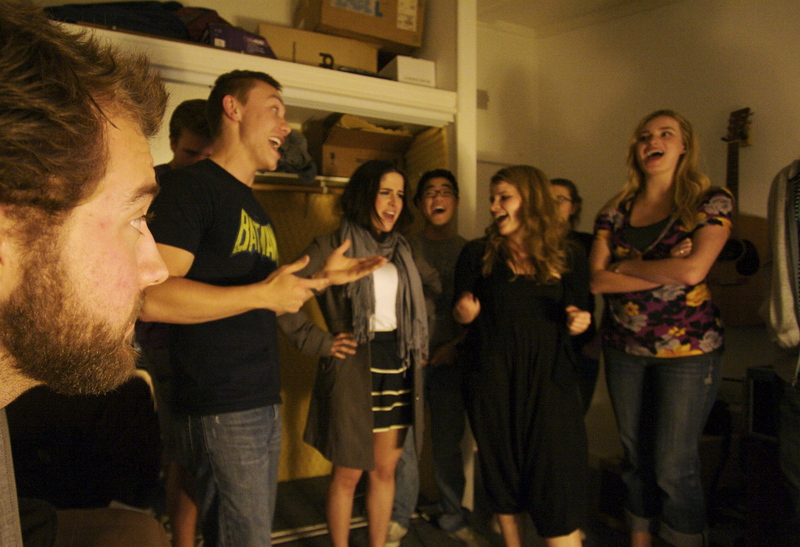 Check out our cast members and choreographer in his great short Tutor. Now it’s time for us to put our nose to the grindstone and get to work. 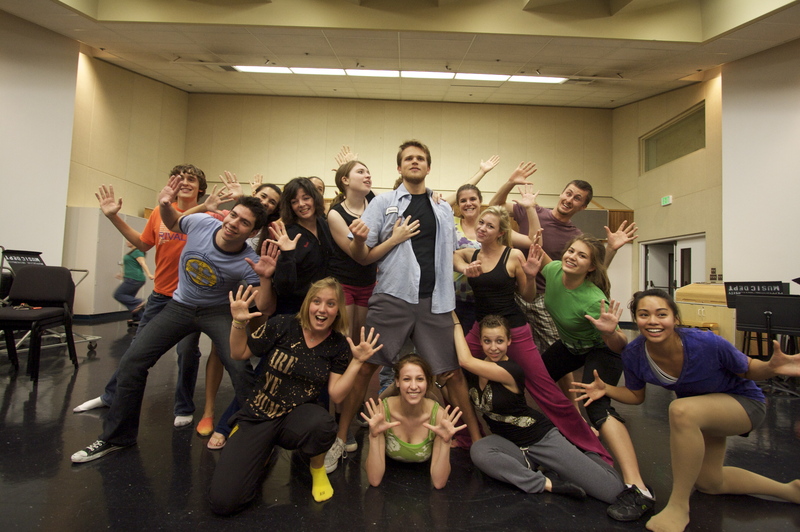 Keep an eye out here for more updates and email us at lifeisnotamusical@gmail.com to get involved.